A practical guide to understanding and getting started with Sencha's Ext JS 6. This book and accompanying video lessons are aimed at new and experienced Ext JS developers who are looking for a great resource to help them get up to speed on Ext JS 6. Ext JS 6: Getting Started offers clear explanations of the new concepts and terminology introduced in the latest Sencha framework. Get a handle on the new architecture and how to go about upgrading to the latest version. I have to say, this is a great reference! I found the explanations/examples of using build and application profiles to be very clear and informative. This book is aimed at Ext JS and Sencha Touch developers who are looking for a great resource to help them get up to speed on Ext JS 6. Understand the key concepts introduced with Ext JS 6 and how they apply to when developing applications. Learn how to integrate the new features and components introduced in Ext JS 6 into your applications. Discover how to customise an application for different environments using Application Profiles. Learn how to architect Universal Applications, including how to identify and structure shared code. We will walkthrough upgrading and merging, existing Ext JS 5 and Sencha Touch applications to a true-cross platform Ext JS 6 Universal application. Learn how to prepare your applications for testing and production deployment. 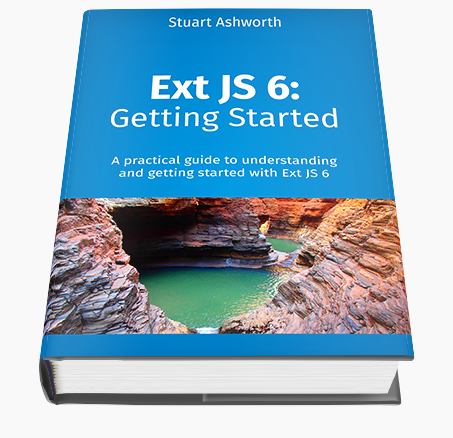 This eBook and its accompanying resources are packed with information, tutorials and step-by-step walkthroughs on all the important aspects of getting up to speed with Ext JS 6. Read the outlines of each chapter below to find out exactly what you'll be getting! An intro to Ext JS 6 and what this book will cover. A quick rundown of the history of Ext JS and what we can expect in this release, including a summary of its new features. Dive into the new framework's architecture and key concepts, learning how Universal apps work and how we go about developing them. Get started with a brand new Ext JS 6 Universal application using Sencha Cmd and the Classic & Modern Toolkits. Discover the options for tailoring your applications to its environment using profiles and configurations. An introduction to the latest version of Sencha Cmd and using it with the new framework. A deep dive into how to structure and architect Universal applications, including code sharing, Fashion and Live Update. A detailed look at each of the new components included with Ext JS 6 - Pivot Grid, Export package, 3D Charts, live chart editing, Promises and more! A detailed walk-through and analysis of the upgrade process, bring complementary Ext JS 5 and Sencha Touch apps together into a single Universal app. A look at how we ready our application for deployment to a testing and production environment. A look into what the future holds for Ext JS. Dive into the new architecture and project structure that Ext JS brings. A walk-through of creating a brand new application from scratch. A look into how to start introducing MVVM to your MVC Sencha Touch applications. Watch me go through and discuss the process of upgrading and combining an Ext JS 5 and Sencha Touch application into a single cross-platform Universal application. The new Live Update feature makes development much faster - find out how you set it up and make it work for you. Getting your applications ready for distribution to a production environment. 25% off voucher (worth £300!) 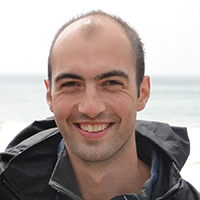 a code review or upgrade consultation session where I will analyse your code and give detailed recommendations on code improvements or the upgrade strategy to implement. You will receive 1 month access to my clinic sessions where you can ask and discuss your project and specific problems you are having. These hour-long sessions are run every week. The book has been really well received by the community and I'm delighted to have heard such great comments about it. I have to say this does a much better job of explaining Ext JS 6 than the Sencha Roadshow did. Whenever I am introduced to new technologies, my brain constantly comes up with questions - I found that these were answered as I thought of them in the next paragraph, giving the book a really easy read. The book gives great insight on how to get started with Ext JS 6 and how to combine the 2 toolkits 'classic' and 'modern'. It provides great examples and clear practical information. A must have for any Ext JS developer. Got the book and finished it in one seating. It's about 100 page long but filled with very juicy stuff. After reading this book, it gave me clear guidelines on how to create a Universal Web Application. It really answered all the questions I've had for ExtJS 6. The book is a very good reference and I will look inside from time to time so I quickly get the info I am after. Stuart Ashworth is a web and mobile consultant, developer and an all-round web geek currently living in Glasgow, Scotland, with his wife Sophie and wee dog Meg. There's a package perfect for you depending on your budget and the level of detail you want to get into. If you have any questions or comments on the book or about what package is best for you, drop me an email at stuart@stuartashworth.com or fill in the form below. If you want more Sencha related resources head over to my website at www.stuartashworth.com. I look forward to hearing from you! If you'd prefer to keep in touch through social media, you can find me in all the usual places. Feel free to drop me a message!